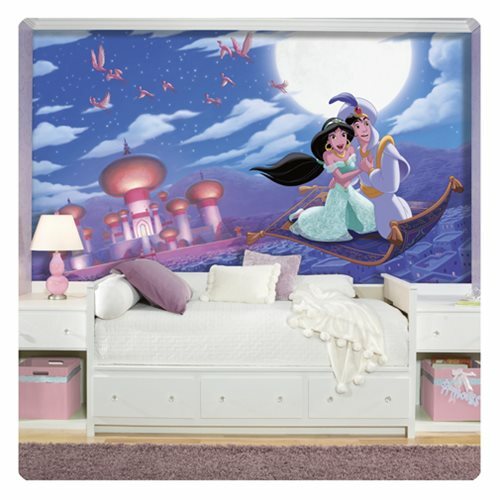 Create a room fit for a princess in no time with the Aladdin XL Wallpaper Mural by RoomMates! Featuring Aladdin and Disney Princess Jasmine soaring Agrabah on a magical carpet, this wallpaper mural is easy hang. To install, activate each of the seven panels with water and hang them side-by-side on any flat surface. Decal measures 10 1/2-feet wide x 6-feet tall when complete.